Australian Greens leader Dr Richard Di Natale says the door has been slammed on terminally ill patients battling to acquire cannabis medicines urgently. Australia’s Special Access Scheme Category A enables quicker access to medicines than Category B, but the Federal Government removed unregistered cannabis products from Category A. A disallowance motion by Dr. Di Natele sought to reverse this. “For some of these patients, speedy access to medicinal cannabis is the difference between being able to eat or wasting away,” said Dr. Di Natale. The amendment was backed by Labor, (reportedly drawing comment from the Federal Health Minister that Labor was “weak on drugs“), but was defeated due to NXT and One Nation joining the Coalition in voting against it. “I am so disappointed that these politicians couldn’t put the needs of terminally ill patients above their own political games,” said Dr. Di Natale. 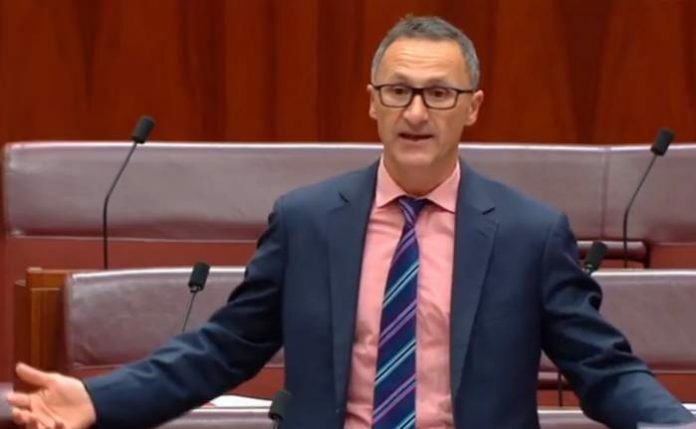 Adding to the Greens leader’s ire is the fact that One Nation claims to support medical cannabis, with Pauline Hanson previously calling on the Prime Minister to show compassion. Earlier this year, MP Steve Dickson jumped ship from the Liberal National Party to join One Nation over his concerns major parties had lost their way on the cannabis issue. Medical cannabis crusader and Australian Of The Year Awards Nominee Lucy Haslam was bitterly disappointed by the news of the vote; which tallied at 32 for and 32 against. “… Pauline Hansen and Nick Xenophon had done a deal with the Government effectively selling out the needs of the terminally ill,” she said. Regarding the Federal Government’s concerns the Greens motion would have resulted in an influx of unsafe products, Ms. Haslam said this was “quite frankly BS”. While Ms. Haslam has stated she is (understandably) battle-weary, she will continue in her efforts – as will the Greens.